The LoD Vacuum Pump Relocation Bracket moves the factory vacuum pump to give the needed clearance for installing a Signature Series Front Bumper on the 12-17 Jeep Wrangler JK. 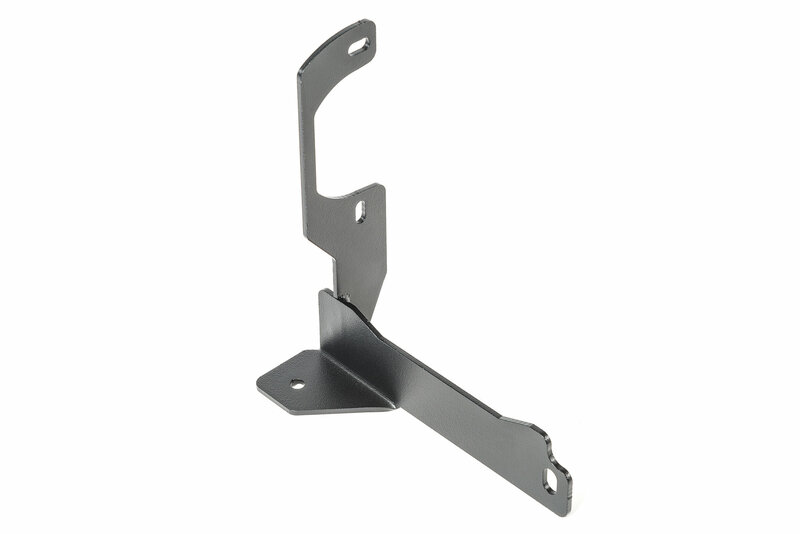 This bracket also features the same 2 step corrosion resistance process as all of their steel products and is finished off in a durable textured black coating. High quality part. If you're using a larger winch like the Warn Zeon series, cut off a little more than what they show in the picture. Otherwise, it won't fit.